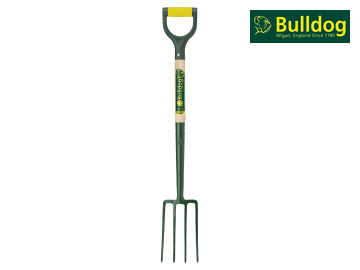 The Bulldog Evergreen Border Fork has a long socket for durability. 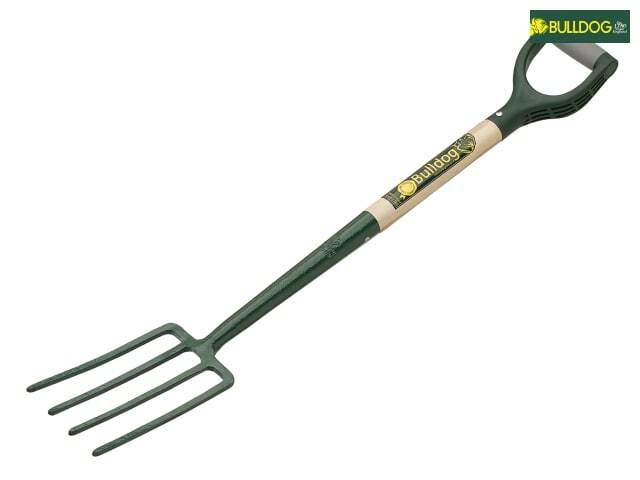 The head is manufactured from durable carbon steel, forged from one piece to give strength and durability. Epoxy coated for rust resistance and reduced soil adhesion. 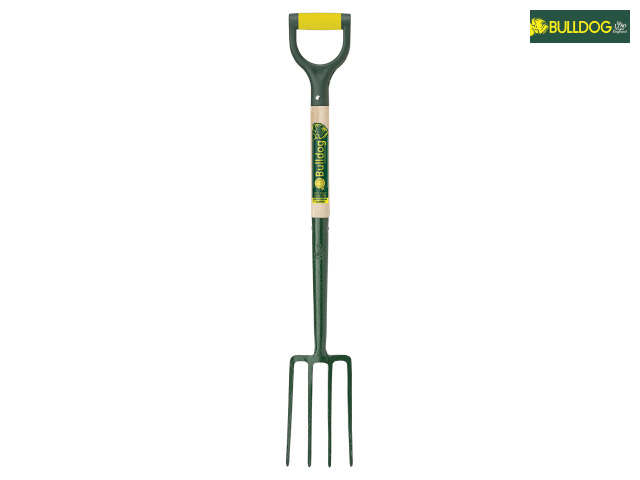 Fitted with an ash shaft and a modern forward tilt ergo grip handle to help reduce stress when digging.